Terms like SEO, SEM, and PPC are thrown around by big agencies charging big premiums for even the simplest of optimization. Often times, these agencies have little to no experience with in depth optimization and current practices. Utilizing the wrong agency or individual to optimize your website can actually do serious harm to your website ranking and can even have you unlisted from popular search engines like Google permanently! Search Engine Optimization doesn't stop at your website either, it involves outreach, backlinking, and directory submissions. 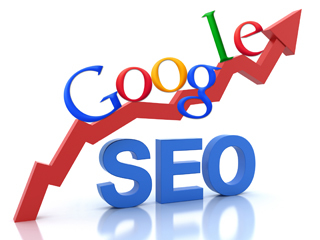 The Source: PC has a very thorough approach to making sure your website will rank in search engines. Search Engine Optimization is a multi-faceted, ongoing process to ensure that your website remains visible to your potential customers or clients. The Source: PC has many options available to help you with this process! We offer all inclusive services ranging from initial on page audits and optimization all the way to content marketing and social promotion. The Source: PC has years of experience in optimizing small business websites with a local focus on search and social marketing. The Source: PC only utilizes white hat, industry proven methods to ensure your website ranks. We do not use any "black hat" methods such as purchased backlinks, cloaked or obfuscated code, and article farm submissions. We take every step we can to ensure that your website and it's SEO profile conforms to the best practices as outlined by Google, Bing, and Yahoo. So, if you want to socially promote your product on Facebook, increase your visibilty in local search on Google, or ensure that your page is properly optimized for your product or service, we can help.